Cisco is rolling out a number of new products for its data center fabric, including new Cisco Nexus 6000 Series Switches, new hybrid cloud functionality via the Cisco Nexus 1000V InterCloud, and a network- programmable controller. 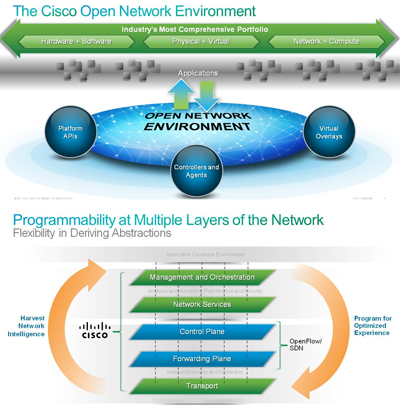 The new offering are part of the Cisco ONE strategy, which addresses emerging trends around open networking, programmability and software defined networking (SDN) for data center, campus, cloud, and service provider deployments. Cisco said its goal is to scale, extend, and open the networking fabric of data center, cloud and provider environments as well as bring consistency across physical, virtual and cloud-based deployments. 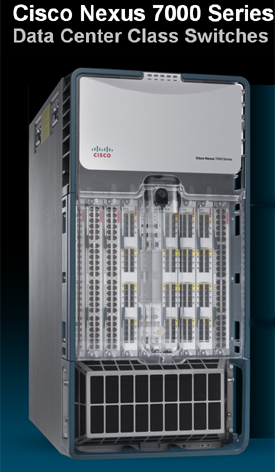 Cisco Nexus 6000 Series Switches -- high-density 10GE/40GE data center switches with L2/L3 capability, deep packet visibility and programmability via the Cisco NX-OS. Two Nexus 6000 models are being introduced. The Nexus 6004 offers up to 96 ports of line rate 40GE (384 ports of line rate 10GE) in a 4 RU (rack unit) form factor; and the Nexus 6001, which offers line rate 48 ports of GE/10GE fixed ports with 4 ports of 40GE (or 16 ports of 10GE) uplinks in 1 RU form factor. The Nexus 6000 Series is purpose-built for high performance access, leaf/spine architectures, compact aggregation, or high-density FEX aggregation deployment options for building a scalable Cisco Unified Fabric. The Nexus 6004 24 x 40 GE is scheduled to be available Q1CY2013 and is priced at $90,000; the Nexus 6004 48 x 40 GE is scheduled to be available Q1CY2013 and is priced at $195,000; the Nexus 6004, 12 x 40 GE LEM is scheduled to be available Q1CY2013 and is priced at $40,000; the Nexus 6001 is scheduled to be available in 1HCY2013 and pricing will be announced at a later date. Cisco Nexus 7000 Series Network Analysis Module (NAM) -- this blade for the flagship Nexus 7000 data center switch brings application awareness and performance analytics, empowering IT with unparalleled actionable visibility into the network, improving application performance, optimizing network resources and helping to more effectively manage services delivery in cloud and virtualized deployments. 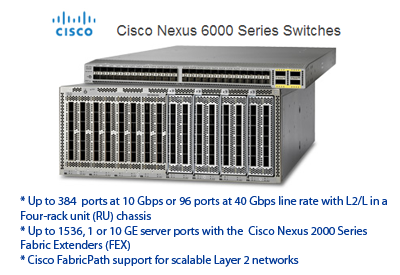 Cisco Nexus 2248PQ fabric extender and the Nexus 5500 Series switch 40 gigabit Ethernet uplink -- gives customers the option of deploying 40GE uplinks in their existing Nexus 5500 to reduce over-subscription, while the new Nexus 2248PQ switch provides a 10GE top-of-rack fabric extender with 40GE uplinks. The Nexus 1000V InterCloud -- an orchestration solution for extending corporate enterprise environments into the provider cloud with simplicity and security. The Nexus 1000V InterCloud preserves existing networking capabilities and L4-7 services while bringing manageability of the enterprise into the provider cloud to create a consistent, reliable, predictable environment for physical, virtual and cloud workloads, freeing IT management to run and move applications without compromise. The solution provides choice of provider clouds and operates in a hypervisor-agnostic manner. A new Cisco ONE Software Controller -- the industry’s first multiprotocol interfaces with One Platform Kit (onePK) and OpenFlow. It offers consistent management, troubleshooting and security features;. Fuilt-in applications include network slicing functionality for enabling logical partitioning of network resources. In addition, the ONE Controller will interact with Cisco networking applications such as Custom Forwarding and Network Tapping. Expanded platform support for Cisco onePK developer environment with Nexus 3000, Nexus 7000 and ASR 9000. Expanded OpenFlow support on the Nexus 3000, Nexus 7000, ASR 9000 and Catalyst 6500. Dow Corning and IBM have developed a new type of polymer material capable of transmitting photonic signals at high speed. The researchers have fabricated thin sheets into flexible optical waveguides. The material is stable at extreme operating conditions including 85 percent humidity and 85°C. In a presentation at the Photonics West conference in San Francisco, Brandon Swatowski, application engineer for Dow Corning Electronics Solutions, reported that fabrication of full waveguide builds can be completed in less than 45 minutes, and enable a high degree of process flexibility. Silicone polymer material, which is dispensed as a liquid, processes more quickly than competitive waveguide materials such as glass and does not require a controlled atmosphere chamber. 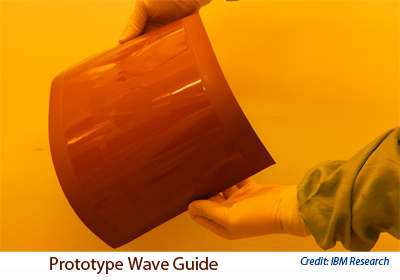 "Polymer waveguides provide an integrated means to route optical signals similar to how copper lines route electrical signals," explains Dr. Bert Jan Offrein, manager of the Photonics Research Group at IBM Research. "Our design is highly flexible, resistant to high temperatures and has strong adhesion properties – these waveguides were designed with no compromises." "Dow Corning’s breakthrough polymer waveguide silicone has positioned us at the forefront of a new era in robust, data-rich computing, especially as we continue to collaborate with outstanding industry leaders like IBM," said Eric Peeters, vice president, Dow Corning Electronic Solutions. "Optical waveguides made from Dow Corning's silicone polymer technology offer customers revolutionary new options for transmitting data substantially faster, and with lower heat and energy consumption. We are confident that silicone-based board-level interconnects will quickly supersede conventional electronic signal distribution to deliver the amazing speeds needed for tomorrow’s supercomputers." Network traffic dipped by about 15% during the Super Bowl, according to Sandvine, which analyzed data from an network operator in the eastern U.S. 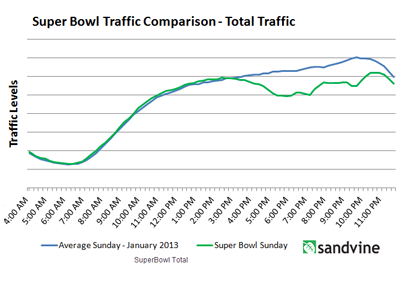 The Super Bowl was streamed live via the CBS website, which saw a substantial spike in traffic for the broadcast. However, this traffic amounted to 3% of the total, leading Sandvine to conclude that the majority of viewers tuned in via regular TV over cable, satellite or free over-the-air. This happened last year as well, according to Sandvine's blog. 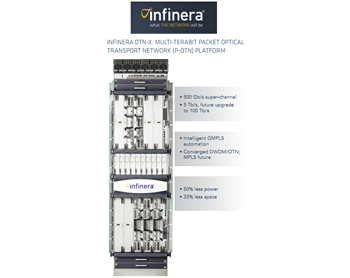 KDDI has selected Infinera's DTN-X platform to upgrade the Miyazaki – Okinawa Cable network in Japan. The upgrade will enable 100G services across the country. KDDI owns and operates the Miyazaki – Okinawa Cable, an independent cable system that links to the Japan Information Highway cable system, stretching 10,300 km. Nisho Electronics is Infinera's local partner. C Spire Wireless, which serves Mississippi and parts of Alabama and the Florida panhandle, is deploying Tekelec’s Diameter Signaling Router (DSR) to deliver personalized services on its LTE network. The DSR intelligently routes the policy, charging, roaming, authorization, authentication and mobility management messages that enable mobile data services. Financial terms were not disclosed. Tekelec has 75 percent to 85 percent share of the Diameter signaling control market, according to industry analyst firm Exact Ventures, including eight North American mobile operators. Service provider voice core equipment spending over the next five years is expected to remain approximately constant at nearly $7 billion per year, according to a new report from Dell'Oro Group. This compares with decline over the past five years. Growth segments such as IP Multimedia Subsystem (IMS) Core, Voice Application Servers and Session Border Controllers (SBC) are forecast to offset declines in mature product segments such as Softswitch and Media Gateway. Dell'Oro expects the Session Border Controller market remain essentially unchanged despite volatile results from some vendors in this market. "What has changed is that service providers are now offering commercial Voice over LTE systems in Korea and the United States. 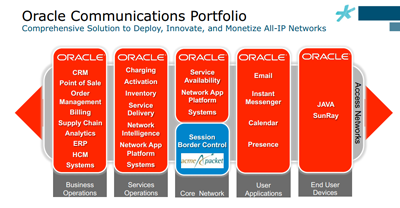 The underlying IMS architecture enables not just voice, but also messaging, file transfer, and video calls. As service providers deploy these services, they will be more effective in competing with Over-the-Top services that consumers purchase directly with their smartphones," said Chris DePuy, Vice President at Dell'Oro Group. "We expect to see a significant increase in IMS-based commercial deployments over the next year," concluded DePuy. Oracle agreed to acquire Acme Packet, a leading supplier of session border controllers, for $29.25 per share in cash, representing an enterprise value of $1.7 billion net of cash. 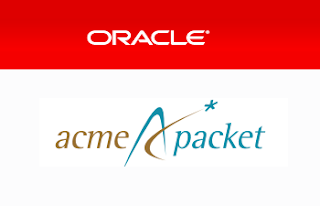 Oracle said it would make Acme Packet a core offering in its Oracle Communications portfolio to enable customers to more rapidly innovate while simplifying their IT and network infrastructures. Separately, Acme Packet reported Q4 revenue of $70.7 million, compared to $83.0 million in the fourth quarter of 2011 and $65.3 million in the third quarter of 2012. GAAP net loss for the fourth quarter of 2012 was $2.0 million, or $(0.03) per share, compared to GAAP net income of $8.7 million, or $0.12 per share, in the fourth quarter of 2011 and GAAP net loss of $5.5 million, or $(0.08) per share, in the third quarter of 2012. In 2010, Oracle acquired Convergin, an Israeli start-up specializing in real-time service brokering solutions. Financial terms were not disclosed.Convergin offers a J2EE-based Service Broker platform that enables communications service providers (CSPs) to manage services for a wide range of networks and application platforms, including pre-paid charging. The solution can be used for migrating pre-paid voice from IN- to IP-based networks. Convergin provides the mediation of wide range of protocols, enabling the orchestration and blending of services and capabilities across networks and application domains. 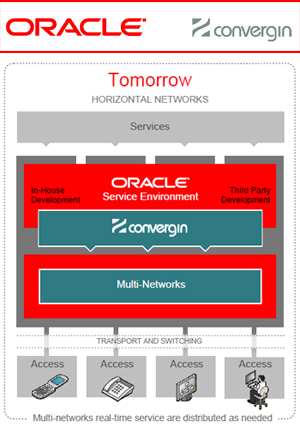 Oracle said the combination of its service environment with Convergin's Service Broker provides a single carrier-grade, standards-based IT platform for CSPs. The market for Service Provider routers will transition to lower growth below 5% by 2017, according to a newly published report by Dell'Oro Group. The market is forecast to mature as Service Providers reduce their router investments in the coming years as network traffic growth slows, equipment prices shrink, and networks are more efficiently provisioned. "In the recent past, it was common for the Service Provider Router market to grow annually by 20 percent or more as network operators allocated larger portions of their capital expenditures to routers to support Internet traffic growth. In stark contrast, we forecast annual market growth to remain below ten percent from 2012-2017," said Shin Umeda, Vice President at Dell'Oro Group. "Service Providers will need to take advantage of new products and network architectures, and improve operating processes to make their networks more efficient and obtain the most return on their investment," added Umeda. ZTE is planning to launch a new series of backhaul solutions aimed at LTE small cells, offering support for a wide range of data transmission methods, including packet bearer network backhaul solution, fixed broadband backhaul solution (through PON, xDSL and Cable), Microwave Wireless backhaul solution, WiFi Non-line-of-sight (NLOS) Wireless backhaul solution and TD-LTE backhaul solution. 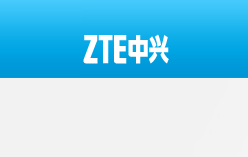 ZTE will offer transmission modules for DSL, PON, Cable, Wifi and TD-LTE. The support for wireless transmission modules such as Wifi and TD-LTE also addresses the non-line-of-sight (NLOS) challenges of network construction in urban areas. Sumitomo Electric Industries announced a high-efficiency broadband power amplifier for base stations. The device covers a wide radio frequency (RF) bandwidth and conforms to LTE-Advanced specifications. 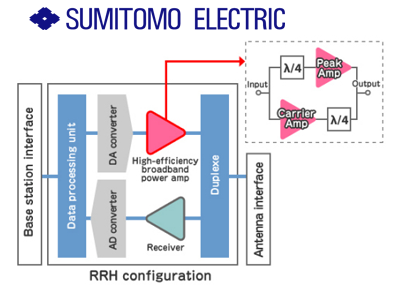 Sumitomo notes that RF power amplifiers typically consume most of power required in a cellular base station. The company said its design optimizes the fundamental frequency and the high-order harmonics over a wide frequency range inside the amplifier modules incorporated in a Doherty amplifier. Its design achieves a high power efficiency of 53% or more at a wide band of over 100 MHz. Sea Launch suffered a catastrophic failure 14 seconds after ignition and as result terminated rocket thrust. The Zenit-3SL rocket with the IS-27 spacecraft crashed into the Pacific Ocean approximately 4 km from the Odyssey Launch Platform. Intelsat 27 was to operate from 304.5º East, an orbital location currently occupied by Intelsat 805 and Galaxy 11. The satellite is designed to serve customers in North America, South America, the North Atlantic and Europe. The Boeing satellite carried 20 C-band transponders for coverage over the Americas and Europe, and 20 Ku-band transponders with mobility beams spanning the north Atlantic, Mexico and Brazil. “We are clearly disappointed with the outcome of the launch. The cause of the failure is unknown, but we will work closely with our launch and manufacturing partners to determine the necessary next steps,” said Intelsat CEO David McGlade. 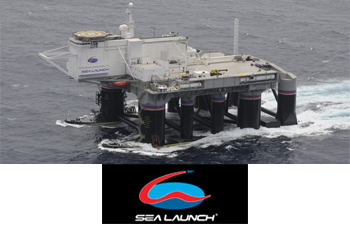 In January 2007, Sea Launch suffered a failed launch resulting in total loss of the NSS-8 satellite along with substantial damage to its Odyssey Launch platform.